Campus: Songming, Kunming, Yunnan, P R China. Yunnan Technology and Business University is located in Kunming, a Spring City with beautiful scenery all around the year. It is an applied university with professional teaching staff and facilities, distinctive characteristics of subjects, higher education quality and scientific research. 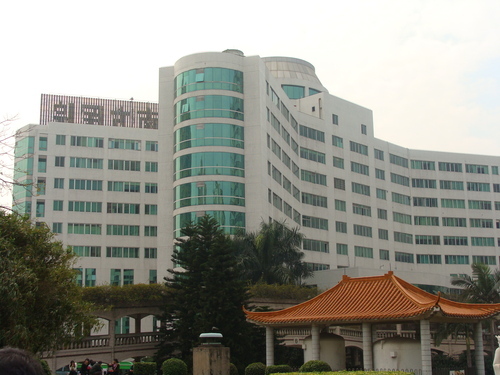 The main campus is located in Songming Vocational Education Base of Kunming, with an area of 182 acres, 1.5 million books in the library, and total assets is nearly 1 billion yuan including teaching, scientific research instruments and equipment, teaching administrations and other assets. There are 11 schools, offering more than 50 baccalaureate and associate’s programs, with more than nineteen thousand students. It has formed an academic pattern with the advantage characteristics of Engineering (Construction Engineering, Computer Engineering, Mechanical Engineering, etc.) and Business (Economics, Accounting, Finance and Management), focusing on arts and sciences and the coordinated development of multi-disciplinary. We emphasize the international cooperation and communication. We have established a long-term, stable, friendly cooperative relationship with more than 40 universities and research institutions in different 20 countries, such as Canada,UK, Australia, etc. It is gradually formed its own impacts and characteristics, in which talent fostering and transfer of Intellectual Property facing for neigh boring countries. Yunnan Technology and Business University will continue adhering to the motto of self-reliant, outstanding, serve-country, which insists on governing the school legally, moralities campus, scientific research to explore the construction of modern university system. To strive for the first-class applied university in China, we have been improving the innovative abilities of talent fostering, scientific research, social services and cultural inheritance. Located in 2nd ancient city of Dali in Yunnan. Address: Songming, Kunming, Yunnan, P R China. To create a favorable environment for Chinese learning by arranging two students overseas students to live with two outstanding Chinese students. Active in organizing overseas students to join in team learning activities.